The Trump administration has embarked on two investigations to determine whether imports of steel and aluminum are threatening the national security of the United States, under a law that has not been used for 15 years. On April 19, 2017, the Department of Commerce initiated an investigation under Section 232 of the Trade Expansion Act of 1962, as amended, to determine the effects of steel imports on national security. The following week, it initiated a similar investigation relating to the impact of aluminum imports. This post examines Section 232 investigations and the results of the 26 prior uses of the statute. The majority of the prior cases found no threat to the national security from imports. Where a threat was found to exist, the imports, with one exception (machine tools), centered on oil imports. Any substantial unemployment, loss of skills or investment, decrease in government revenues or other serious effects resulting from displacement of domestic products by excessive imports. Following Commerce’s initiation of the 232 investigations, President Trump issued presidential memoranda urging the expeditious conduct of the investigations (steel and aluminum) and reiterating the legal considerations of an investigation. The President also requested consideration of “the status and likely effectiveness of efforts of the United States to negotiate a reduction in the levels of excess [aluminum/steel] capacity worldwide”. 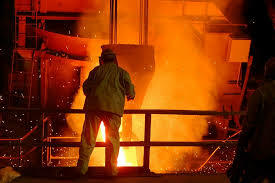 If the Commerce Department finds that steel or aluminum is being imported into the U.S. in such quantities or under such circumstances as to threaten to impair the national security, the Secretary must recommend to the President actions that would adjust the imports to remove the threat. Under Section 232, the President has 90 days to decide what, if any, action should be taken. The President has broad power to impose remedies such as tariffs and quotas. He may also request negotiations of an agreement to limit or restrict imports into the U.S. According to the Commerce Department, 26 national security investigations have been undertaken since 1962 by the three agencies that have rotated authority: 14 by Commerce (1980 to present); five by the Department of Treasury (1973-1980) and seven by the Office of Emergency Planning/Preparedness (1962-73). The most recent investigation concluded in 2002 that iron ore and semi-finished steel did not impose a threat to the national security. The investigations found no threat to the national security in over half of the cases (16); and one investigation was terminated at the request of the petitioner. Of the nine investigations that resulted in a finding that imports constituted a threat to the national security, all but one involved oil imports. The actions that were taken to counter the threat from oil imports included terminating the import of oil from Iran and Libya, imposing a conservation fee (which was removed after it was found to be illegal) and imposing licensing or supplemental fees on oil imports. The only 232 investigation that found non-oil imports were threatening the nation’s security involved a 1986 investigation of machine tools. In May 1986, President Reagan deferred formal decision on a 232 investigation of machine tools and directed that voluntary restraint agreements (VRAs) be sought with leading foreign suppliers and that the Commerce and Defense Departments develop a Domestic Action Plan to aid the industry’s revitalization. In December 1986, the President announced VRAs had been reached with Japan and Taiwan for a five-year period beginning on January 1, 1987. Subsequently, in December 1991, President H.W. Bush announced that the VRAs would be modified and extended for 1992 and 1993. The pursuit of VRAs for machine tool imports may be particularly relevant to the current steel and aluminum investigations given that the President in his memoranda asked for consideration of efforts to negotiate a reduction in excess capacity. In the current 232 investigations of steel and aluminum, the Department of Commerce has 270 days to report to the President (until approximately mid-January 2018). However, Commerce Secretary Wilbur Ross has indicated that his Department can complete them more quickly. He is also reportedly considering a 232 investigation involving semiconductors. This entry was posted in Trade Policy, Trump Trade Policy and tagged 232 investigation, Aluminum, Machine tools, National security, Steel, Trump trade policies, U.S. trade policy by Jean Heilman Grier. Bookmark the permalink.